Reverse canvas projects are all over Pinterest, and I have been wanting to try one. With the holidays coming, I wasn’t sure what exactly I wanted to do. 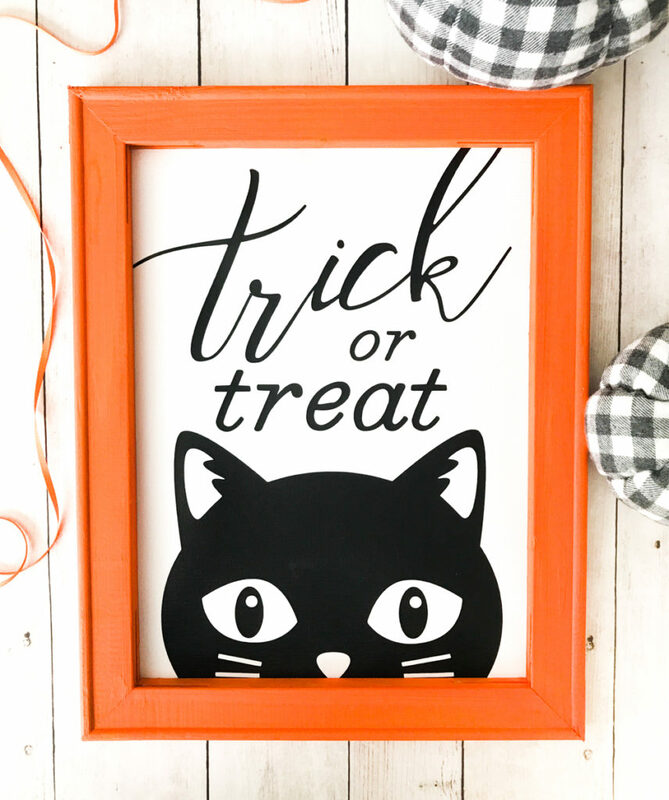 I was inspired by this Halloween canvas by Pineapple Paper Co. Read the full tutorial here. 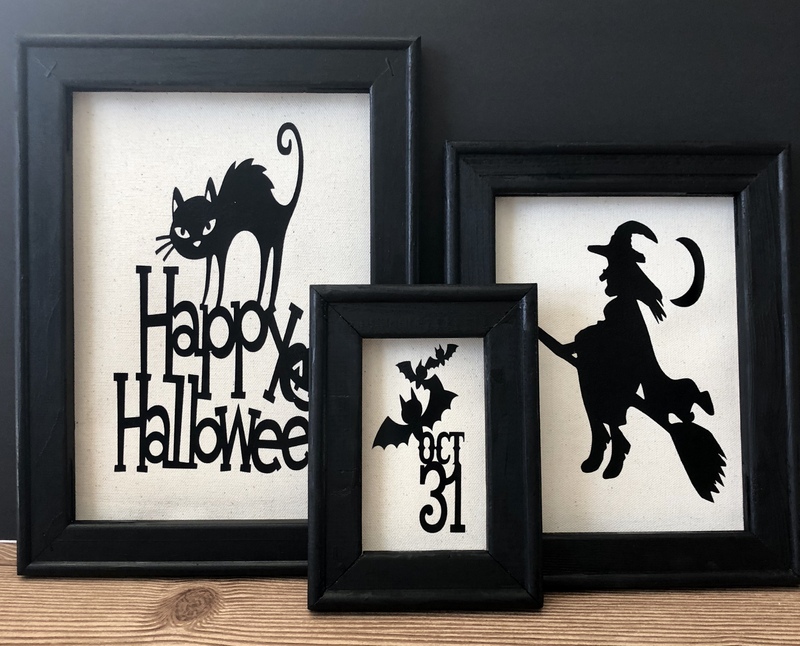 Inspiration from Pineapple Paper Co.
For a more vintage feel, I opted to paint the frames black and I apply the vinyl to the backside of the canvas. The project is very simple. Before getting started, gather the necessary items. 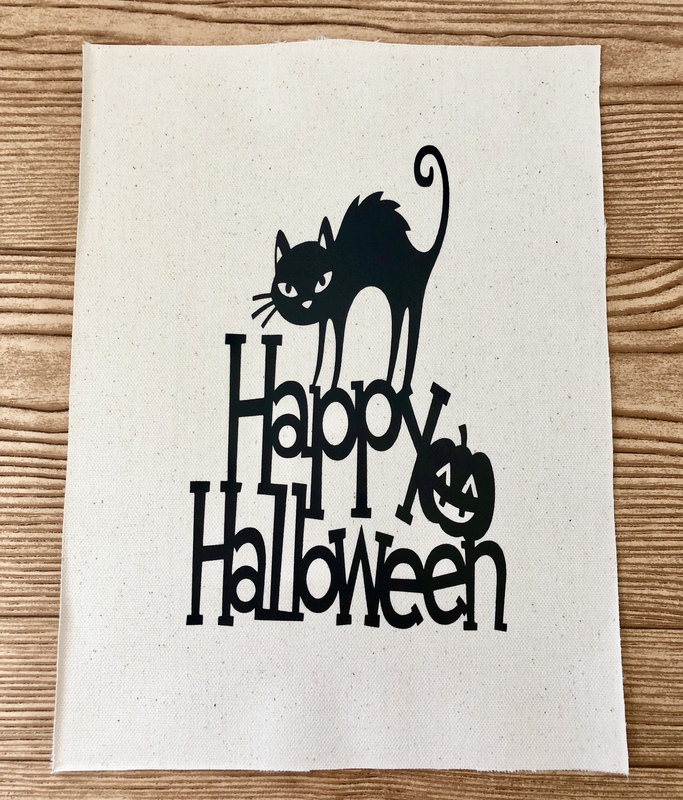 I found my images all on Cricut Design Space. Each image was less than a $1.00. I am sure if I spent some time, I could have found some images for free on the Internet I could have uploaded into Design Space, but I was in a hurry, and I just wanted to get started. Use your craft knife and straight edge to cut the canvas off along the staples on the back of the canvas. Use a ruler to keep your cuts straight. 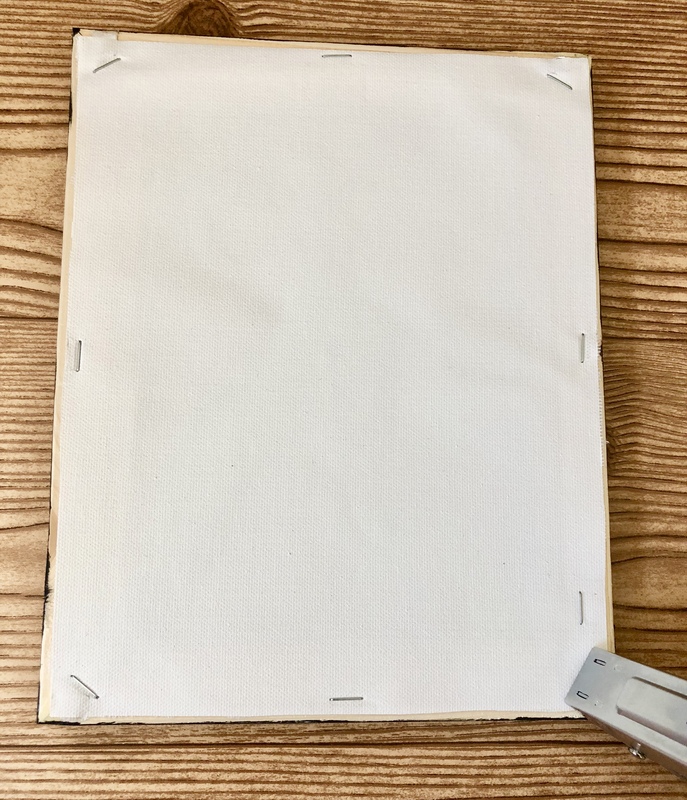 Do not worry about the staples in the back of the frame, as this will still be the back of your finished project. 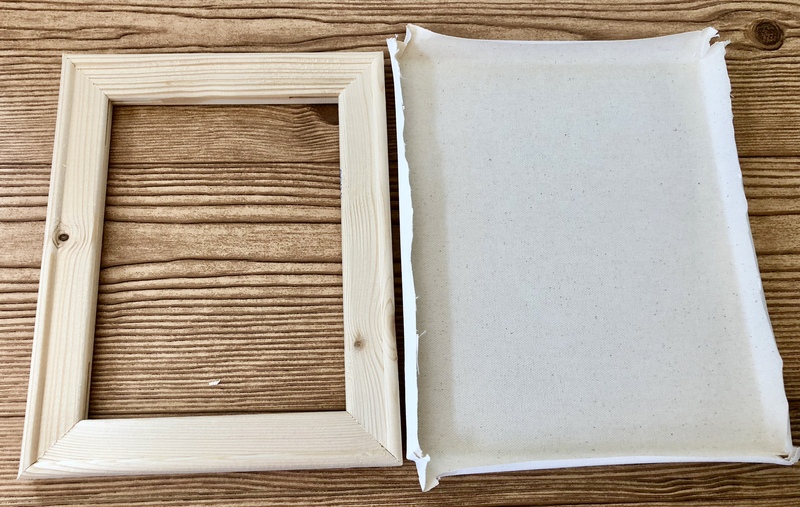 Trim the canvas along the creases, as it will be stapled to the back of the frame and you don’t want any of the edges to show from the front. The frame will definitely have some rough spots. Give it a quick sanding with a fine sandpaper likea 220 grit just to get a nice smooth finish. I used to buy bags of foam brushes at Michaels all the time, but I noticed they aren’t as cheap as they used to be. So, I started picking up makeup sponges at the dollar store for my little painting projects. 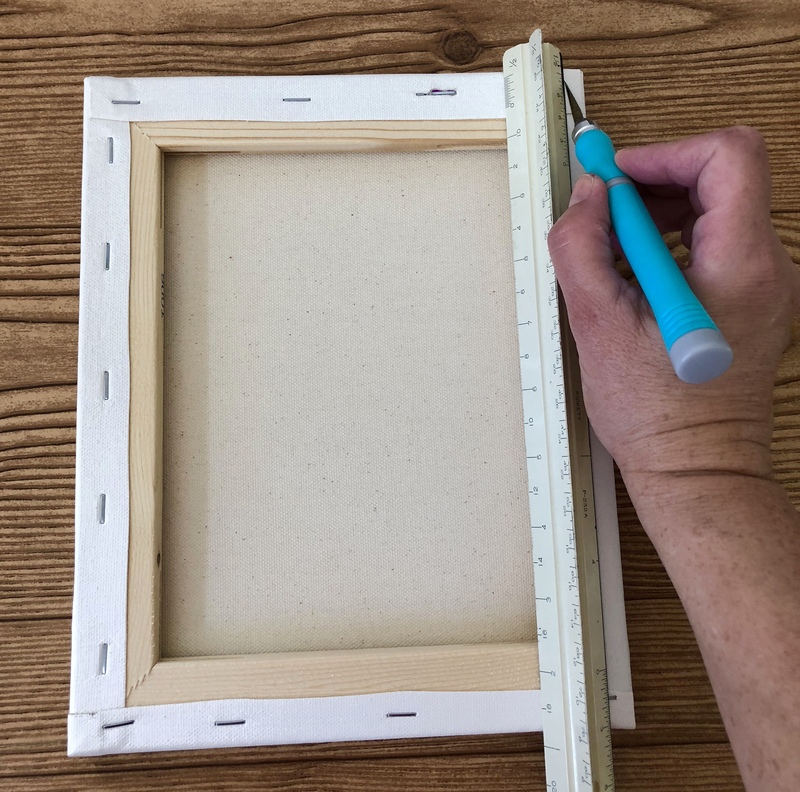 The makeup sponges are perfect for stenciling, and they work great for small projects like painting these frames. While the paint is drying, apply the vinyl to the backside of the canvas. The matt vinyl on the muslin-looking fabric gives the project just the vintage feel I was looking for. Center to vinyl on the reverse side of the canvas. After the paint dries staple the canvas to the back side of the frame. A few staples will hold the canvas in place. I like small collections of things. In design, you often hear to display items in groups of three, as this odd number is pleasing to the eye. Selecting three frames of different sizes makes for a cute little collection. Three pictures make the perfect statement. These will look great either on my mantel or my entryway table, I haven’t picked their home just yet. I am already planning my Christmas reverse canvas project!